We are pleased to announce that Dwr-y-Felin School is installing a cashless catering system. The new system will allow us to continue with the development of the school meal service, and will provide us with a more efficient, faster and ultimately better quality of service. This system incorporates the latest technology and eliminates the need for pupils to carry cash throughout the day, preventing loss, anonymity of Free School Meals, automatic allergy alerts for pupils and increasing the speed of service in the canteen, reducing queuing times. In order for your child to use the canteen facilities it is necessary for you to complete the opt in form (please click here) which gives consent for your child to be registered on the Biometric Database. 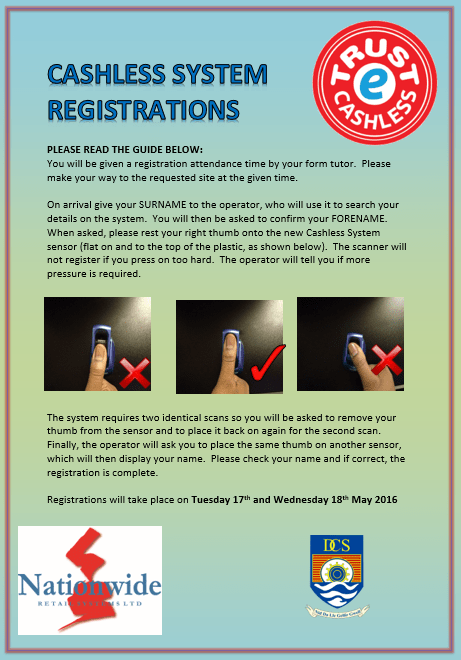 This form should be returned to the school reception by Friday 6th May 2016. Without receipt of this signed form, your child will not be able to use the canteen facilities. 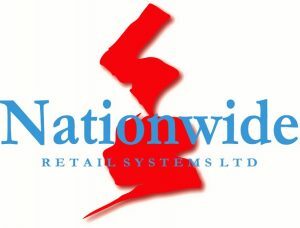 The Biometric Trust-e Cashless System is supplied by Nationwide Retail Systems Ltd. Please be assured that this information remains within the school and that the biometric information is an algorithm and not the actual fingerprint. We will commence operating the system on Monday 13th June and no cash will be accepted at the till points after this date. All students will be given training on how to use the system. Any amount of money can be paid into a pupil’s account and money spent on food and drink will be deducted on a daily basis. We have three payment options available to you – online payments provided by ParentPay, at any PayPoint store and coin and note payments at the revaluation pay-points in school. All payment options are explained in the parent information pack (please click here). A daily ‘spend limit’ of £3.50 will be programmed into the system. This can be increased or decreased for an individual student by making a written request to the school finance office. The parent information pack should answer any questions you may have but if this is not the case a Parents’ Information Evening is to be held in the school theatre on Wednesday 11th May at 4.15pm, when the new cashless system will be introduced and any further questions answered.